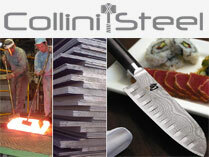 Our Store is located in Italy, but we can ship orders worldwide in 3/7 working days! International orders are shipped by DPD Group www.dpd.com or DHL www.dhl.com or SDA (a branch of Italian Mail), in co-operation with the postal service of the destination country. Shipping costs depend of your country; to find out the exact shipping costs, please add the desired items to the shopping cart and select your country. A tracking number will be automatically provided after the dispatch of each order and you can trace online your shipment, step by step. Items in stock are usually shipped within 48/72h. in Europe and 5/7 days all around the world, after payment is received. All the customs fees, import dutys and taxes, if applicable, are solely the buyers' responsabilities. 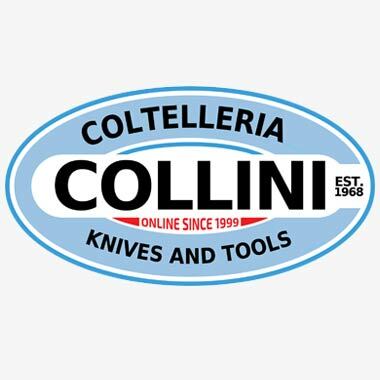 ColtelleriaCollini.com always declares the real value of the parcel. Please note, that there is no customs between EU members states and this warning applies only to coutries outside the EU. You may pay for your order by Visa, Visa Electron, MasterCard and American Express credit or debit cards. We don't collect any of your payment informations: Card informations is submitted via SSL connection to our bank or credit card operator in a completely safe and secure way. Payment will be verified via "Verified by Visa" or "MasterCard SecureCode" verification services, if they are attached to your card. The buyer will be forwarder to PayPal's secure website to complete the payment. For the payment you can use your PayPal account or, if you haven't any, you can use your Credit/Debit card. All the necessary information for international bank transfers will be provided in your order confirmation. Please allow 3/5 working days for us to receive and collect your payment. The exception is our personal care products such as razors, strops, shave brushes and nail nippers. Some of these are hygienically sealed and we will take them back only if they are unopened or defective.